Browser makers have four options to deal with Flash issues. They can do nothing and continue to support the Flash plugin, start to integrate Flash natively into the browser like Google did and Microsoft is doing, block Flash from their browser completely, or try to replace it with an alternative. The Shumway project tries to do the latter. It is officially backed by Mozilla but community-driven, and aims to create a technology that can interpret Flash contents without "native code assistance". 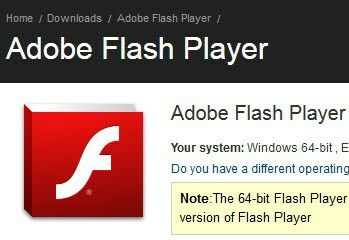 This basically means a technology that can display Flash contents in the browser even if Flash is not installed on the computer. And while integration with Firefox is possible, it is not a dead-given at this point in development as the developers note. Creating a pdf renderer and a Flash interpreter are two different beasts, with the latter being more complicated than the former. To give one example: Once you have rendered the pdf document in the browser, you do not really have to take performance into consideration any longer. With Flash, especially when it comes to interactive elements or games, performance is always an issue.It is a complex beast that the developers of Shumway have to tackle, and it is not really clear yet if it is possible to create a 100% compatible version in the end. The developers have made available an extension and several examples on the official project website over at Github. If you are really interested in the project I suggest you check those out. Shumway is by no means the only project that aims to create an alternative to Adobe Flash. For Linux, there is Lightspark and Gnash, and Google too has created a Flash SWF to HTMl5 converter called Swiffy. For Mozilla, the idea makes sense, considering that the company is not in the same boat as Google or Microsoft that both have access to Flash's source code to implement the technology natively into its browsers. For Mozilla this meant no Flash support under Windows 8 Metro, and that's exactly what Shumway will take care of. Firefox is currently in the same boat as Chrome as the most recent version of Flash on Windows is sandboxed. Wasn’t Flash considered dead like 2 years ago? I sure wish it was since it is the main cause of problems in any browser.